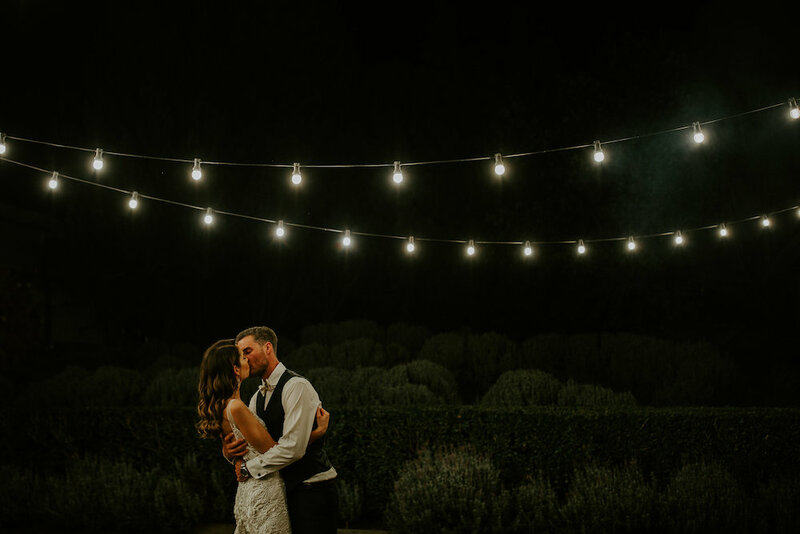 Feel magic happen on your wedding day at Kooroomba, as your swept away in fields of purple, while surrounded by silhouetted mountain ranges which stretch up to meet the heavens. Kooroomba Vineyard and Lavender Farm is really the definition of a ‘hidden gem’. Situated in the picturesque Scenic Rim, near the small, quiet town of Mt Alford, Kooroomba offers absolute privacy with stunning scenery and views across lush green valleys towards the Mcpherson and Main mountain ranges. 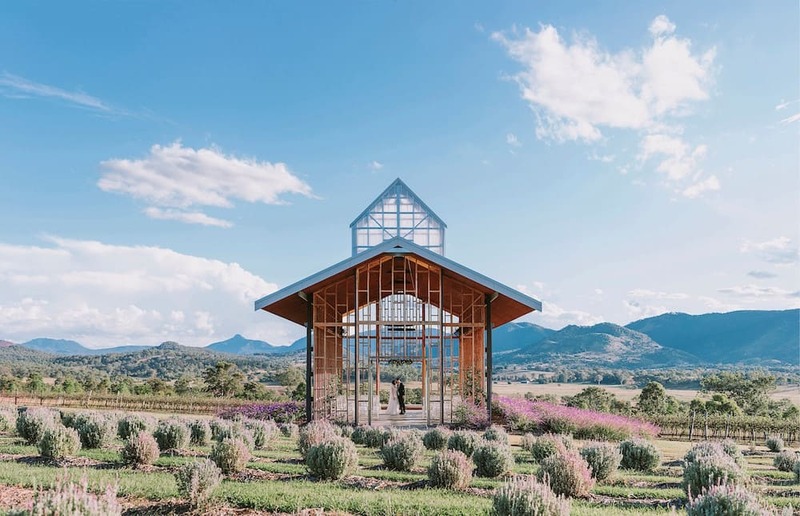 As the closest lavender farm to Brisbane and the Gold Coast, this beautiful estate has countless photo opportunities, amongst the lavender rows, in the vineyard, olive grove and our beautiful architecturally designed chapel. 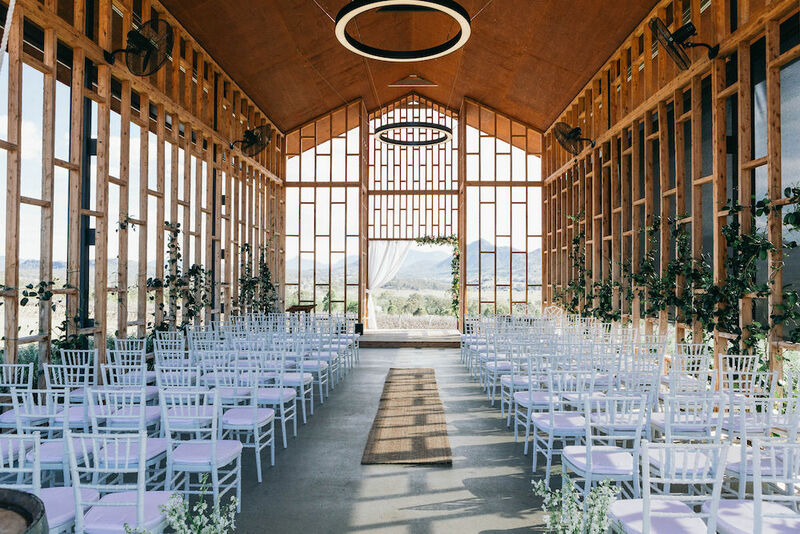 With just a roof and open framework, our chapel really is like no other and is becoming the recognisable trademark of a Kooroomba wedding. 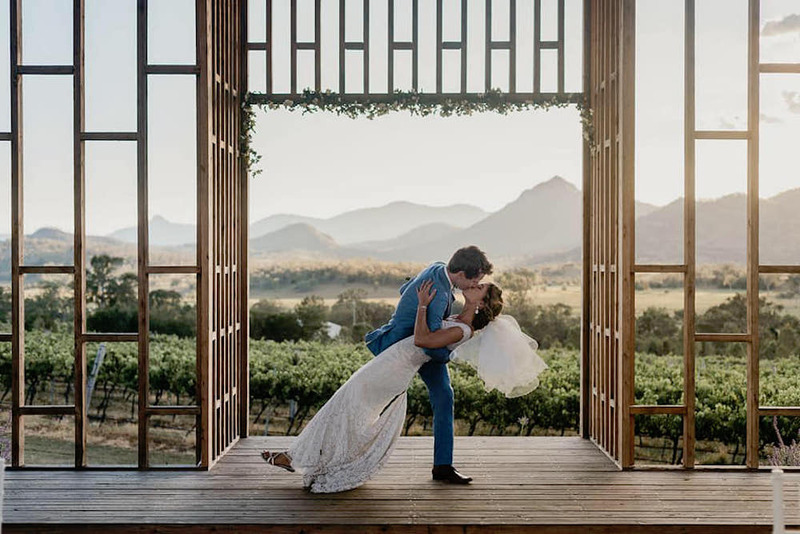 The spectacular 180 degree mountain views and rolling hill scenery are quick to capture the heart’s of many.After feasting your eyes on the breathtaking scenery, you can taste the many unique flavours of the Scenic Rim’s local produce in our gourmet wedding menu by our multi award-winning kitchen. 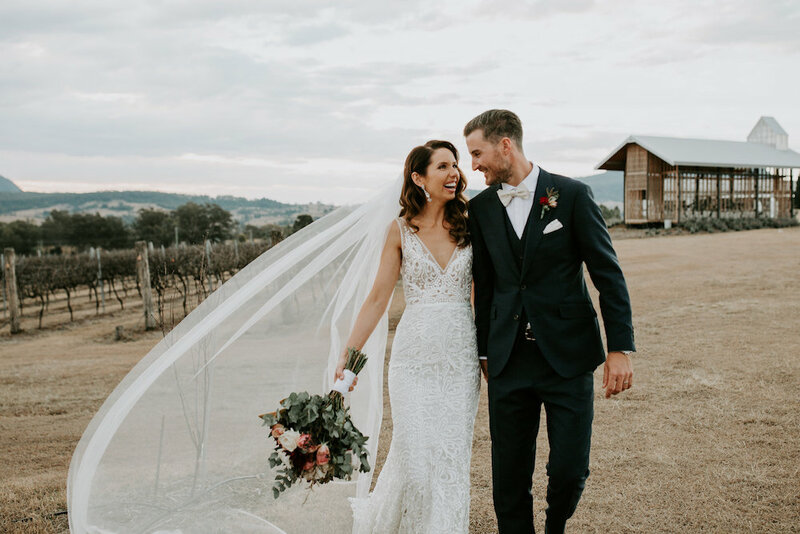 Our Wedding Planning Team will assist you with every aspect of your wedding, offering unlimited support throughout the entire process. 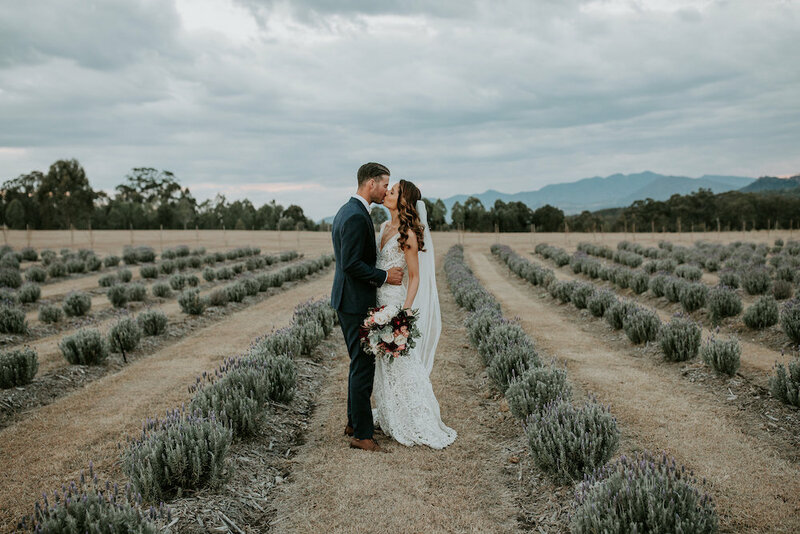 Designed with romance and relaxation in mind, the unique rustic charm of Kooroomba Vineyard and Lavender Farm is guaranteed to create a lasting impression on your wedding day.